Fabric-backed vinyl case with zippered enclosure. One internal pocket holds test leads or small accessories. 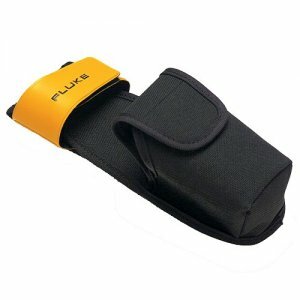 Convenient 3" (76 mm) belt loop accommodates tool belts.